Enabling enhanced in-store experiences with scan-and-go, Vaultify Shop enables retailers to digitize credit cards, gift cards, loyalty points and coupons into a single secure mobile wallet and create a frictionless shopping experience for consumers. The shopping experience has become one of the largest differentiating factors for retailers to compete in today’s marketplace. The Rambus Vaultify Shop retail payment platform supports merchants in enriching this experience by making the in-store check-out, and payment process hassle free by enabling scan-and-go and digitizing payment, gift, loyalty cards as well as coupons and receipts. Once digitized, these different payment currencies can be unified into a single transaction – either in-aisle or at a check-out station. 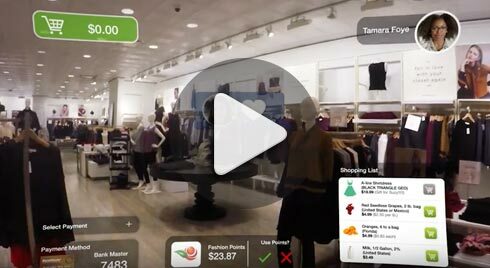 Retailers can use this platform to either upgrade their existing app into a payments mobile wallet or utilize the Rambus white label retail app. They can also integrate with existing gift cards and loyalty service providers or initiate their own programs. Aggregating digitized payment and receipt data in the Vaultify Shop platform enables retailers to make personal recommendations, driving higher average revenue per user (ARPU). Additionally, by digitizing and aggregating all the various methods used for payment, such as loyalty, gift, coupon and payment cards in a mobile wallet, retailers can reduce check out times, ultimately enhancing the customer buying experience and satisfaction. Brick-and-mortar merchants are in the midst of a period of unprecedented disruption. Long-term structural trends mean that retailers must address decreasing revenues and escalating costs, while evolving the in-store experience to meet the demands of the connected consumer. To be successful, however, retailers must focus innovation efforts on solutions that can immediately increase revenues, enhance the buying experience and deliver operational efficiencies. 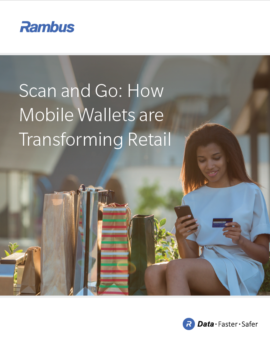 For this reason, transformative technologies such as mobile scan-and-go solutions are coming to the fore, with deployments across the world gaining momentum. The Rambus Vaultify Shop retail payment platform is comprised of number of software modules that interact with our bank-proven tokenization and Host Card Emulation (HCE) products to provide a secure and simple-to-use payment solution and frictionless shopping experience. The core of the platform is the Digital Value Manager (DVM) which allows retailers to connect multiple third-party service providers and convert various forms of digital value into a unified currency to split payment in a single transaction. The Retail Wallet Engine connects to the DVM software as part of the white-label App, enabling full integration with mobile payment products and features digital card enrollment, card provisioning, coupons, and tokenization. Additionally, the Retail Wallet Engine can be upgraded to include integration with Virtual Point of Sale (VPoS) capabilities and inventory management to enable one-click pay and auto-pay. The white-label app software allows retailers to get their branded app to market quickly. The app can be fully integrated with external service providers, providing consumers with all-in-one access to the retailer’s unified mobile wallet and value-added services. Configurable modules provide retailers and merchant acquirers the ability to securely connect to third-party services, as well as integration with existing closed loop credit and debit cards, in house gift cards, loyalty and coupon schemes. As online and mobile commerce channels continue to expand, retailers are being forced to re-evaluate their offering and approach. Retailers must now find new and powerful ways to engage with consumers. Payments are increasingly being identified not just as a necessary process to be managed, but as an opportunity. As retailers and merchants expand their payments activity and investment, deploying a branded digital wallet will be a key consideration for many. In this eBook, we explore the five major reasons why this approach makes sense.